The nose on this straw colored wine is super bright and rich with pear, litchi, tart grapefruit, peach, rich slate or flint, floral notes, lemon rind, and nice citrus pulp. The mouth on this medium bodied wine is rich and tart with more slate, lemon, pear, litchi, peach, and tart grapefruit. The mid palate has restrained yet almost bracing acid, mineral, litchi, and citrus zest. The finish is long and rich with bright acid, slate, citrus zest, and litchi. The citrus zest, litchi, pear, slate, and summer fruit linger long on the palate. 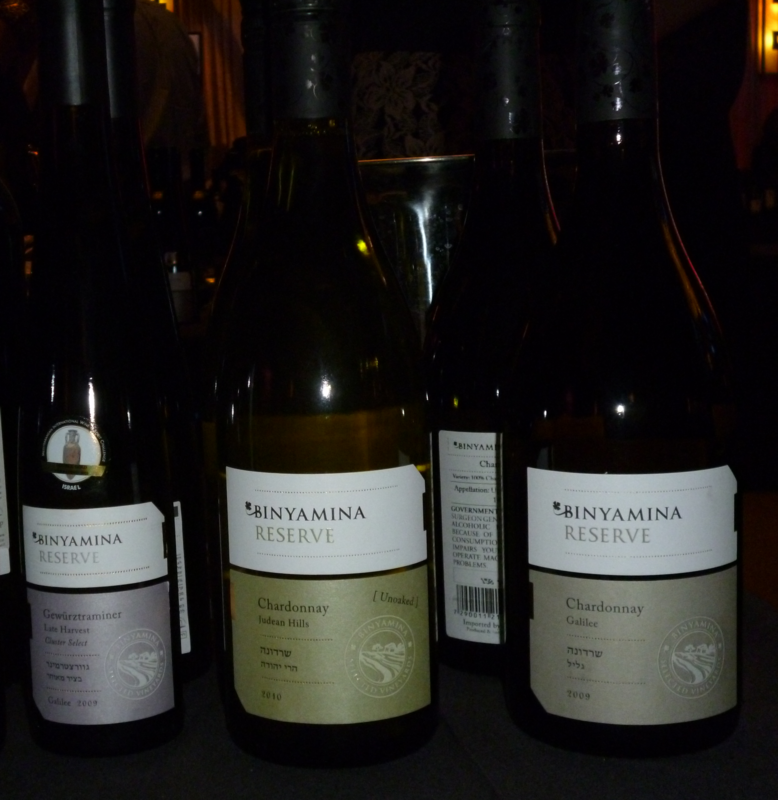 The lovely mineral slate combined with the clear Chardonnay fruit is in perfect balance with the lovely Sauvignon Blanc fruit, a lovely example of restraint and Israeli terroir. This is the second of two Drappier wines that Royal is releasing. We tasted the other one – Carte Blance and liked that one very much.The wine is a blend of the traditional Champagne grapes: Pinot Noir, Chardonnay and Pinot Meunier. The nose on the light gold and salmon colored wine is starts off with yeast, nice mineral, bright lemon, apple, and toast. 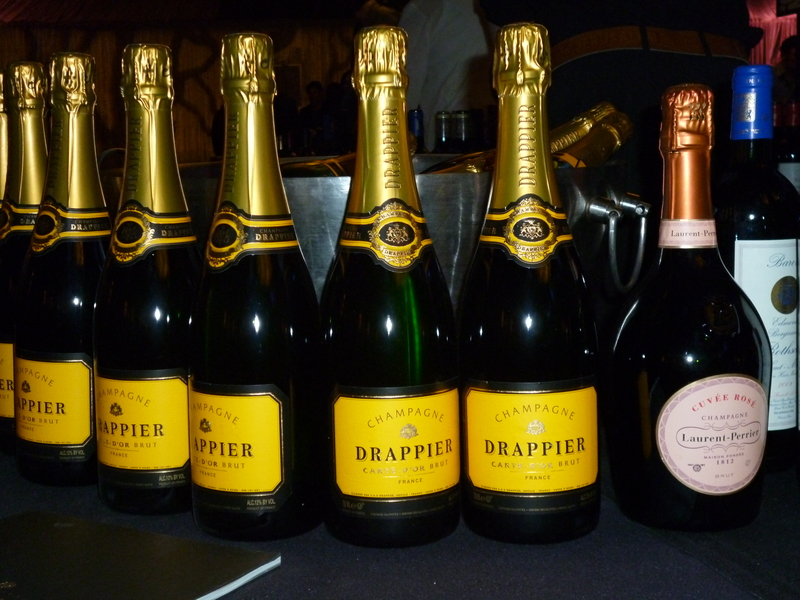 The mouth on the medium bodied wine starts off with white peach, cherry, brioche, and a lovely mousse of small bubbles. The finish is long and tart with toast lingering. 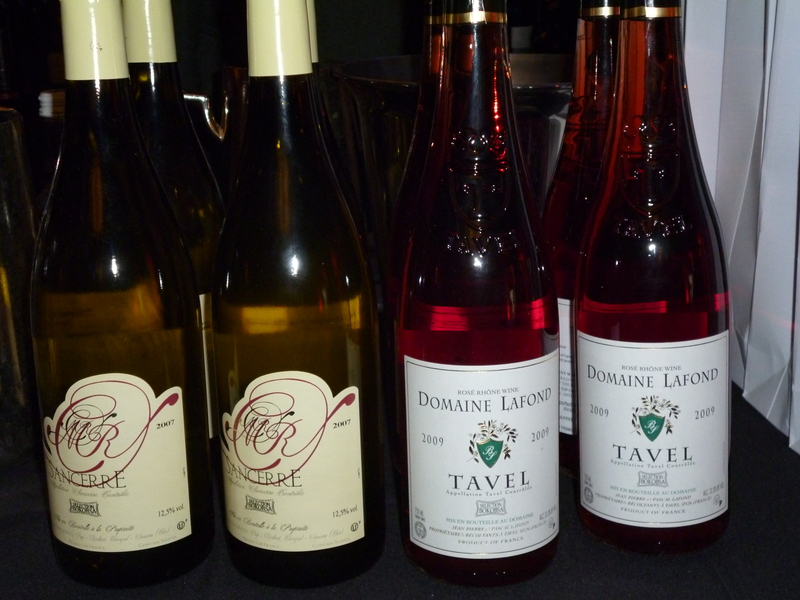 The nose on this pink colored wine starts with nice strawberry, lemon, raspberry, toast, and yeast. The mouth is filled with bright lemon, peach, mouth coating mousse of small bubbles, all balanced with tart acidity, berry, and toast finish. The nose on this straw colored wine has peach, mineral, straw, green apple, bright acidity, floral notes, and gooseberry. The mouth on this light to medium-bodied is lively and round with tart lemon and an attack of ripe summer fruit. The finish lingers with mineral, straw, and a hint of fig. This was not showing as well as it was when I tasted it in Israel a few months ago. The nose on this dark straw colored wine has lovely lemon, light honey, light petrol, good floral notes, mineral, and fig. The mouth on this medium bodied wine is round and mouth filling with bright and sweet summer fruit, honey, and fig. The nose on this straw colored wine is hits you with grapefruit, light floral notes, peach, apple, and honey. The mouth on the medium bodied wine is round with light oak influence and finishes with spicy and honeyed apricot, mineral, and citrus zest. A nice wine that is time to drink up. The nose on this garnet colored wine starts of with dried fruit, along with crushed herb, prune, raspberry, plum, spice, and chocolate. The mouth on this medium bodied wine is balanced with mouth coating tannin and oak. The finish is long and spicy with date, vanilla, and licorice. The nose purple to black colored wine is rich with classic black pepper notes, along with blackcurrant, black plum, blackberry, and chocolate. The mouth on this full bodied wine is focused and concentrated with date, lemon zest, integrated tannin, and spice all coming together into a massive and mouth coating delight. The finish is long and spicy with expressive espresso coffee and cedar. This is a really nice and unique Carignan. The nose on this dark garnet colored wine is filled with blackberry, cassis, and black pepper. The mouth on this full bodied wine is massive, with inky structure, and mouth coating tannin that has yet to integrate, along with blackcurrant that makes the mouth feel more Shiraz than Merlot. The finish is long and lovely with black fruit, vanilla, leather, date, and chocolate. 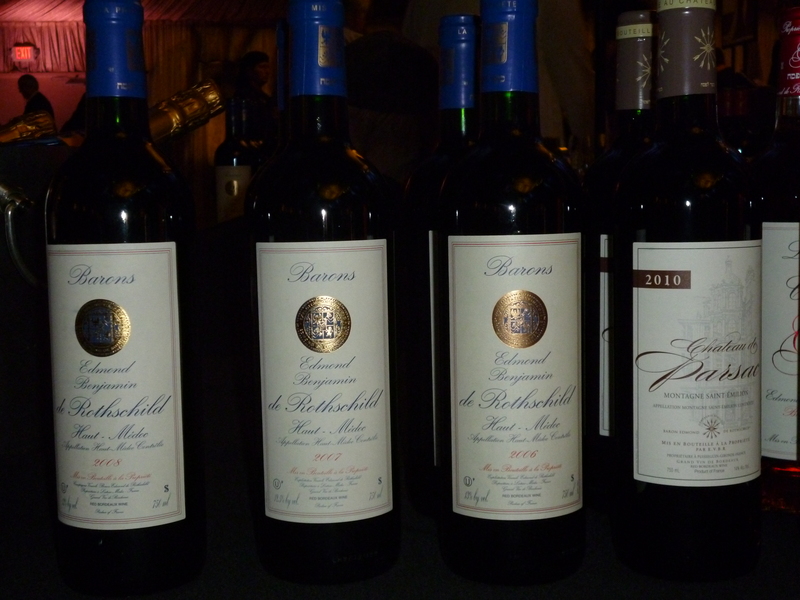 I must say that I really enjoyed the three non-mevushal Baron de Rothschilds Haut Medoc. The toasted and almost burnt oak was very clear on all three them, but the wine was big enough to match the toast. 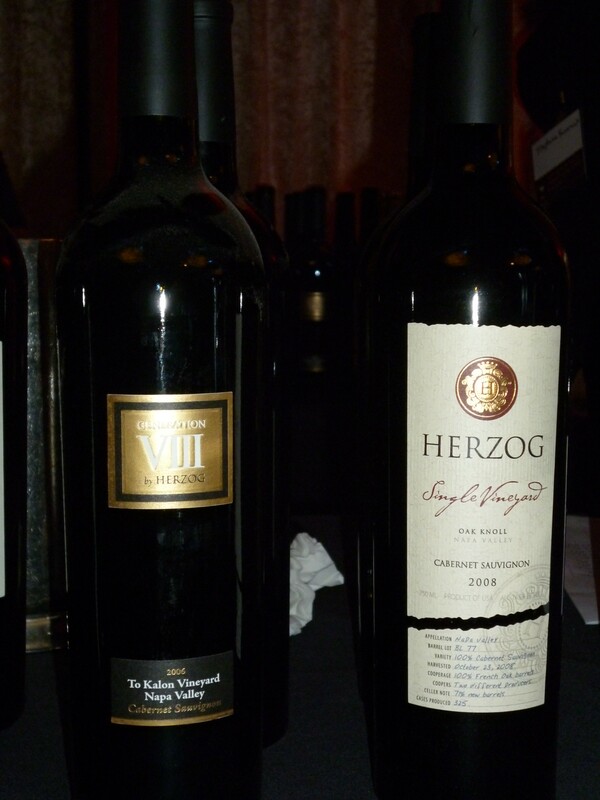 The 2006 and 2007 are very similar in nature, both red and mineral based, while the 2008 is more black and richer. The nose on this dark garnet colored wine starts with heavy spice, crushed herb, mineral, bright aromas, and light chocolate. The mouth is medium-bodied with mouth coating (almost drying) and integrating tannin, raspberry, plum, currant, cloves, and spice. The finish is long and spicy with olives and graphite on the end. The nose light garnet colored wine starts off with graphite, spice, cloves, raspberry, a hint of chocolate, and heavy toasted oak. The mouth on this full bodied wine has big mouth drying tannin that has yet to integrate, plum, and mineral. The wine has yet to start to come together, but as it does look for butterscotch. The finish is long and spicy with more toasty oak. The nose on this light garnet colored wine starts off with lovely cinnamon and continues with chocolate, blackberry, and raspberry. The mouth on this massive and full bodied wine is crazy rich with mouth coating and almost drying tannin, crushed herb, black plum, ripe raspberry, and lemon zest all coming together slowly into a mouth filling wine. The finish is long and spicy with more tannin, chocolate, leather, and graphite. The nose on this purple colored wine is expressive with ripe black fruit, blackberry, black plum, chocolate, and graphite. The mouth is rich with mouth coating and drying tannin, raspberry, nice oak, and lemon zest. The finish is long and spicy with more rich and not integrated tannin, leather, crushed herb, pepper, and cherry. Another French wine winner with more heavy toasted oak, plum, and graphite. The mouth is rich but approachable with more oak, raspberry, nice integrated tannin, all coming together into a nice mouthfeel. The finish is long with nice acid, crushed herb, mineral, and spice. This Merlot driven wine starts with toasty oak, crushed herbs, espresso coffee, and butterscotch on the nose while progressing to a mouth of raspberry, plum, heavy tannin, currant, boysenberry, and kirsch cherry. The wine finishes up with dirt, herbal and chocolate flavors. A uniquely flavored Merlot, but not one with enough complexity to keep your attention. This wine has always reminded me of Paula Deen as it is normally very buttery. This vintage shows off a slimmer butter profile, lemon, green apple, melon, and herb. The mouth is round and shows clear toasty oak influence, along with nice spice, and quince. The finish is long with lovely vanilla bringing up the rear. 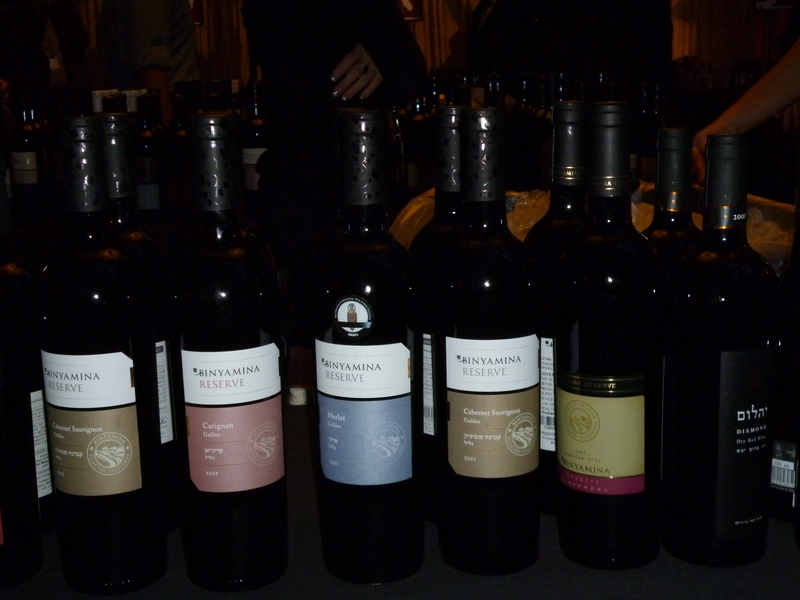 The wine starts off with rich chocolate, nice oak, blackcurrant, raspberry, crushed herb, and tobacco. The mouth is rich and full with mouth coating tannin, citrus zest, blackberry, all coming together with oak influence and crushed herb. The finish is long and spicy with bramble, vanilla, and mineral. Quite a nice and reliable Cabernet that is almost always pleasing. I will admit that to many this wine is a very good one. Further, it has received far higher reviews in the past, but I cannot say the same myself, as the wine was simply not showing well. So these are the notes that I perceived and I cannot say much more than that. The nose was bright and red with chocolate, graphite, and tobacco. The mouth shows raspberry, currant, and nice mouth coating tannin. The finish is long and spicy with rich oak. The wine starts with lovely red and black fruit, raspberry, black plum, chocolate, and bramble. The mouth is rich and spicy with big mouth coating tannin, good extraction, concentrated and focused fruit, and graphite, all coming together into a lovely wine. The finish is long with spicy wood, mounds of vanilla, and mineral. 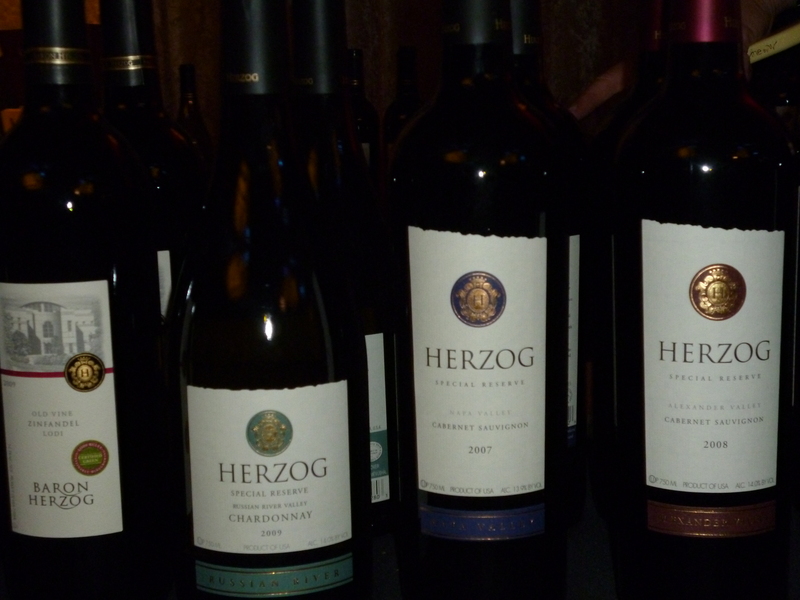 This is the second incarnation of Herzog’s Single Vineyard line of wines, and one that Joe Hurliman is truly passionate about making, as that is the wine he presides over at the pourings since the 2010 IFWF, when it was the 2007 Haystack. This is a wine that continues to impress and show well, with raspberry, blackberry, plum, chocolate, blackcurrant, and pencil shavings. The mouth is full-bodied with heavy spice, huge extraction, massive and mouth coating tannin, along with ripe but not overripe fruit, all just starting to come together into something very special. The finish is long and spicy with mounds of vanilla and chocolate. 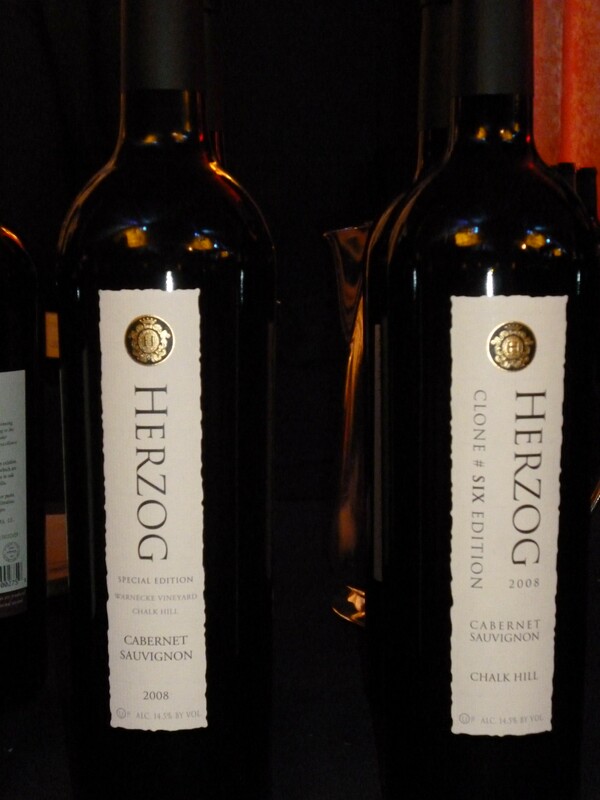 This is the third incarnation of Herzog’s Single Vineyard line of wines, and one that Joe Hurliman is truly passionate about making, as that is the wine he presides over at the pourings since the 2010 IFWF, when it was the 2007 Haystack. 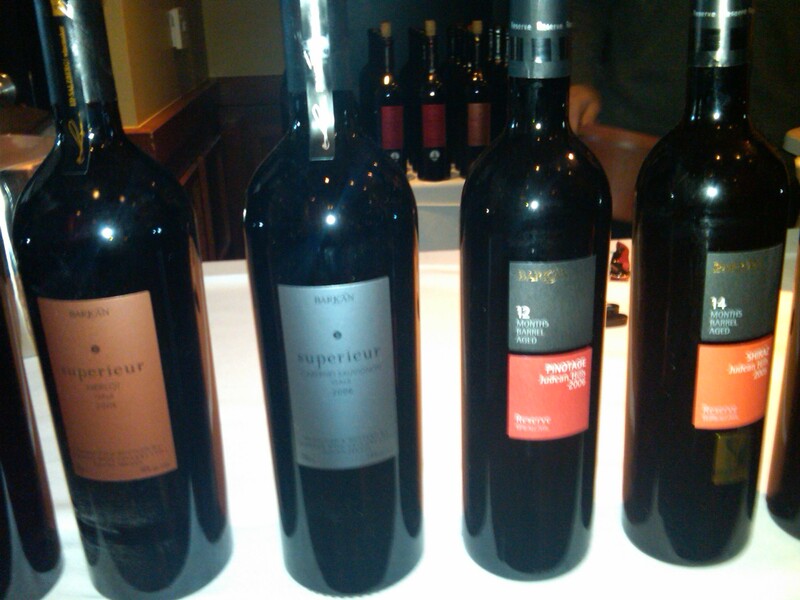 The wine starts with lots of oak, followed by chocolate, blackberry, currant, and bramble. The mouth is massive, black, and full bodied with mouth coating tannin, crushed herb, raspberry, and graphite. The fruit is ripe and lays on a bed of date, mint, mineral, and vanilla. Quite a nice wine but this one may well have been a bit too overripe, but quite nice none the less. The wine starts with rich coffee, then flows into blueberry, boysenberry, citrus, floral notes, and bing cherry. The mouth hits you with massive mouth coating tannin that is just starting to integrate, along with nice extraction, good oak, all comes together into a truly enjoyable mouth. The wine is expressive but balanced given the good fruit and structure. The finish is long with leather, spice, and coffee. Get this and enjoy it for the next few years. The wine starts off with blackberry, ripe plum, crushed herb, and graphite. The mouth is full with cassis, not yet integrating tannin, heavy toasted oak, and extraction. The finish is rich with chocolate, mineral, black fruit, and vanilla. 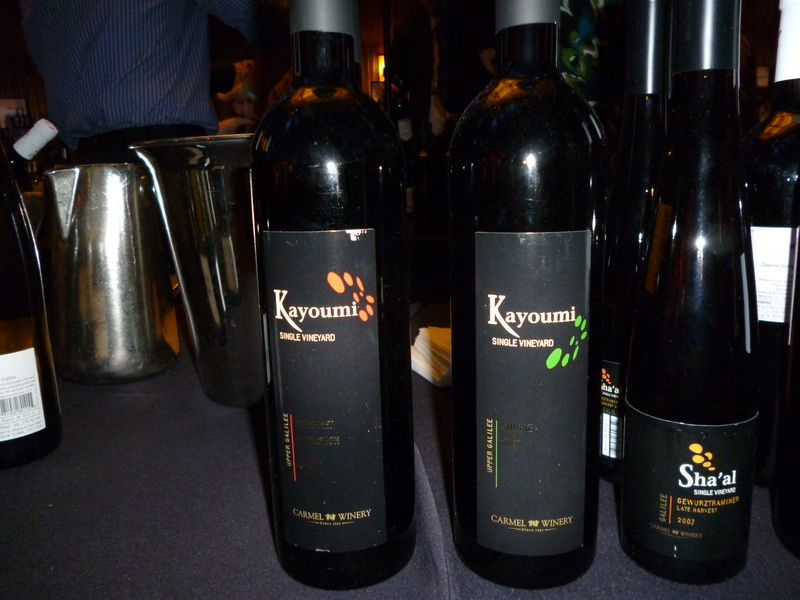 This may well be the first Kayoumi Cabernet that I really liked, I have always been impressed by the Kayoumi Shiraz. The wine starts off with a rich black nose, along with blackberry, cassis, chocolate, graphite, and hints of lovely green notes. The mouth is full bodied, layered and rich with massive mouth coating tannin, nice extraction, ripe date, crushed herbs, and cedar that brings the entire package together. The finish is long with black fruit and vanilla. 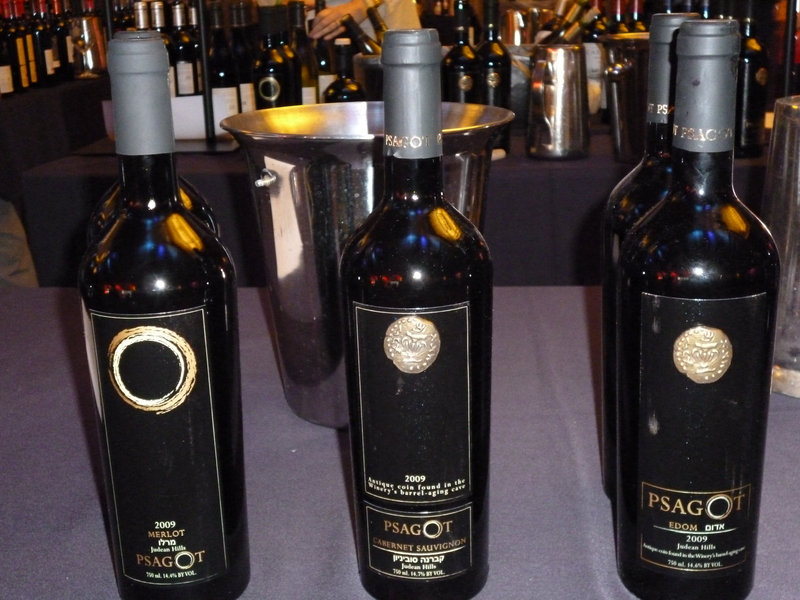 A prototypical Cabernet Sauvignon styled wine with oak constraint – quite lovely. This is another incarnation of the richly extracted and successful Shiraz wines that Carmel has been producing from the killer vineyard. The wine starts off with mortar full of crushed black pepper, along with crazy ripe nose of blackberry, black plum, insane date notes, and tobacco. The mouth is massive and sweet with mouth coating tannin, heavy toasted oak, and black fruit creating a complex and attention grabbing wine. The finish is long and spicy with more tannin, chocolate, nice acid, and spice. 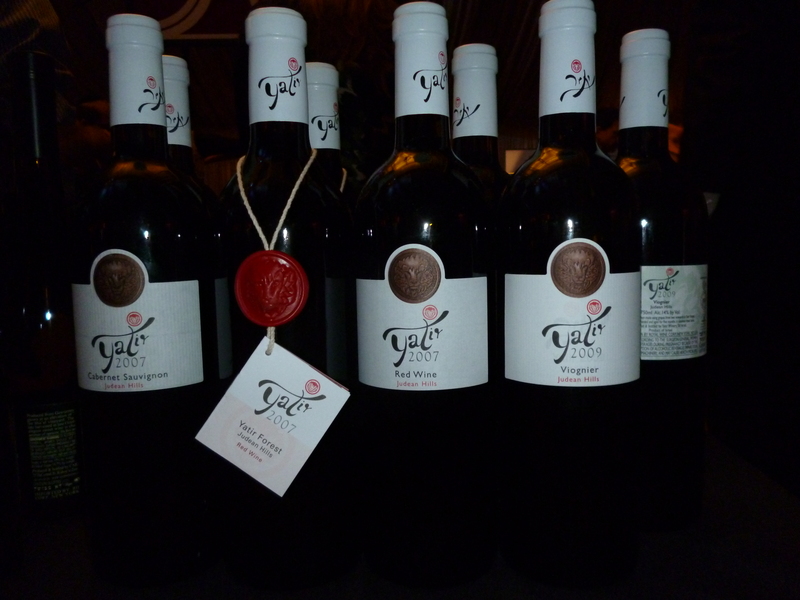 This is the flagship wine from Yatir and one of the very best wines made in Israel. This vintage keeps the name and reputation alive with a blend of 50% Cabernet Sauvignon, 36% Petit Verdot and 7% each of Malbec and Merlot, all aged in oak for 16 months causing an influence of cedar and heavy extraction. The wine hits you hard with tobacco, along with sweet date, blackberry, blackcurrant, cassis, chocolate, dirt, and alcohol. The mouth shows heavy cedar, more extraction, crushed herb, along with a concentration of focused black fruit, and impressive balance for such a big wine, that brings the entire package together quite nicely. The finish is long with vanilla, olives, and nice spice. This is a wine that was not initially exported to the US, I am so happy that this has been rectified as the wine is good example of ripe fruit Cabernet that is not so new-world that dates take over the wine. 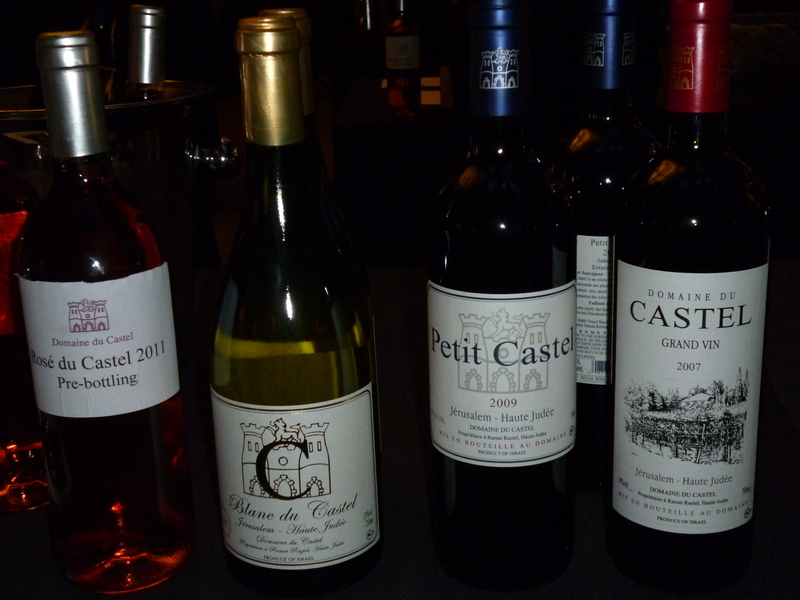 The wine starts off with nice mineral and graphite aromas, followed by classic Cabernet aromas of blackberry and cassis. The mouth is rich and layered with concentrated and ripe and sweet black fruit, raspberry, and black plum. The finish is long and sweet with chocolate, ripe fruit, all coming together into a richly black finish with nice mineral. The wine starts with date, followed by rich blackberry, plum, raspberry, and tobacco. The mouth is full with mouth coating tannin, ripe fruit, crushed herb, all coming together nicely. The finish is long with nice fruit, heavy tobacco, lots of cedar, black pepper, and spice. 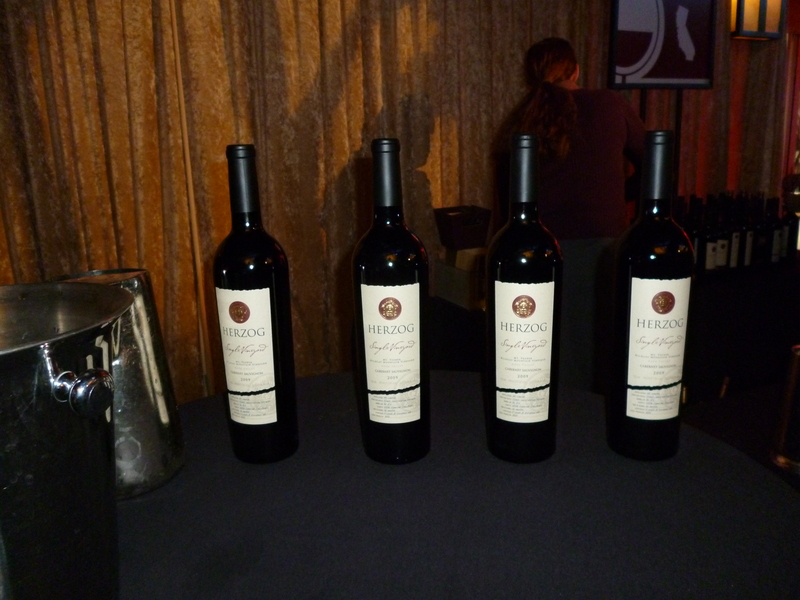 The wine is a Bordeaux blend of 61% Cabernet, 17% Cabernet Franc, 15% Merlot and 7% Petite Verdot. The wine is aromatic with crushed herbs, black cherry, candied raspbery, date, nice chocolate, and cedar. The mouth is full bodied and layered with soft mouth coating and integrating tannin, along with good extraction. The finish is long with nice fruit and vanilla. This wine is a lovely blend of 35% Grenache, 35% Syrah, and 30% Cabernet Sauvignon. It starts with an aromatic nose of chocolate, along with ripe blackberry, black pepper, raspberry, and plum. The mouth is full and concentrated with mouth coating tannin, nice dirt, graphite, ripe fruit, with spicy wood all coming together into a nice mouth. Finish is long with spice and mineral. This is a massive and extracted wine with ripe fruit and one that balances well with the oak and spice. 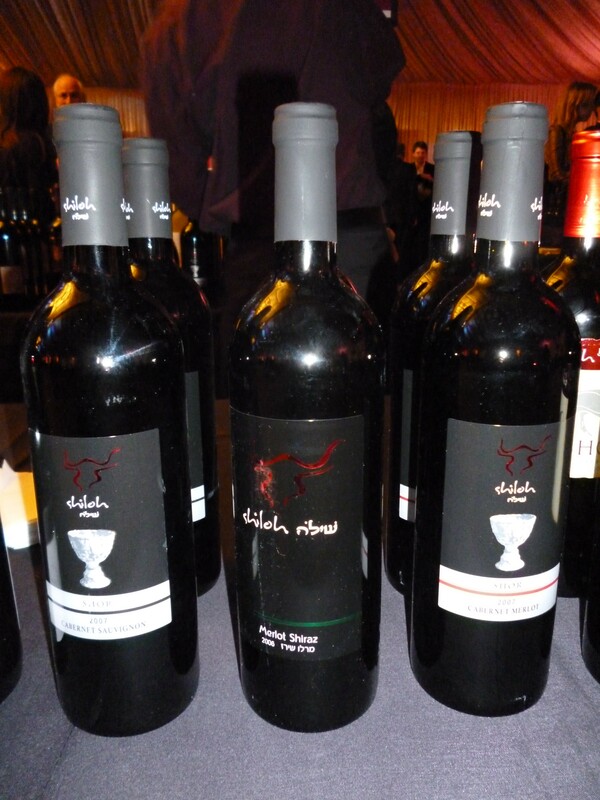 This is a wine that only recently became kosher, a cuvee of the winery’s Cabrida wine. 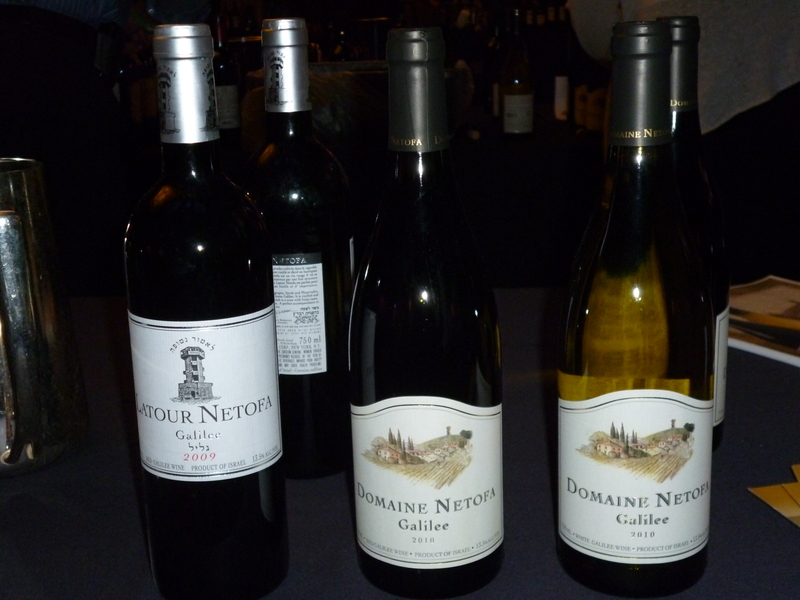 The wine is made entirely from old vine Grenache that are said to be 80 to 1110 years old. 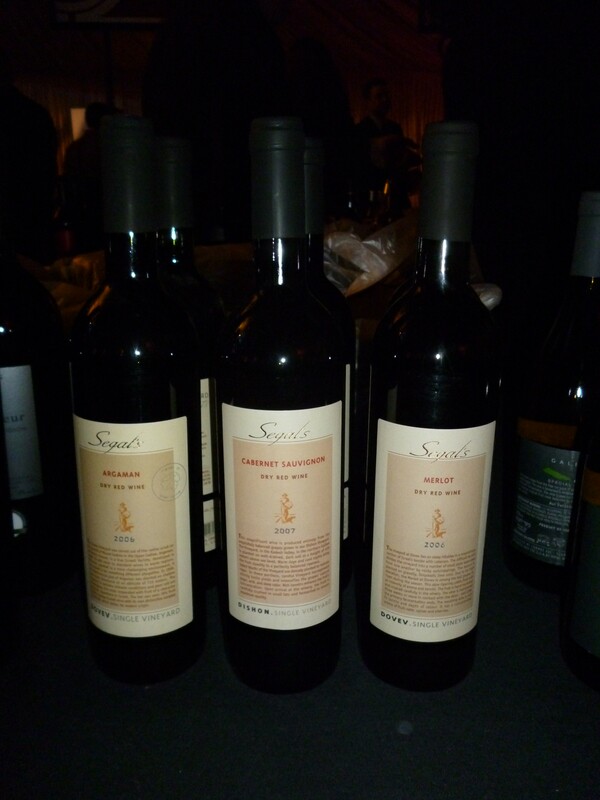 Capcanes did not release a 2008 or 2009 vintage of this wine, as the quality was not good enough to make a single varietal wine from them. 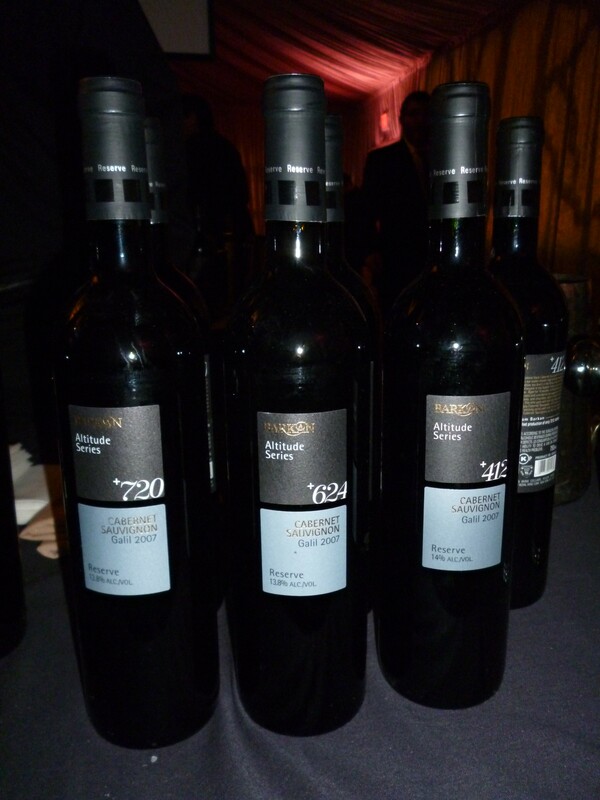 The 2007 vintage was lovely and still intensely rich with massive tannin and toasty oak. The 2010 vintage is equally massive with toasty and semi-charred oak. The nose on this garnet colored wine is explosive with rich espresso coffee, heavy burnt toast, raspberry, candied cranberry, and plum. The mouth on this rich and layered wine starts with a nice concentration of of red candied fruit, massive mouth coating tannin, crushed herbs, and spice that all leads into a mouth that makes you stand up and take notice. The finish is long and spicy with more spice, nice mineral, dirt, not yet integrated tannin, and olives. This is a wine that is not even starting to be accessible, but one that should have most of its components coming together in a year or so. 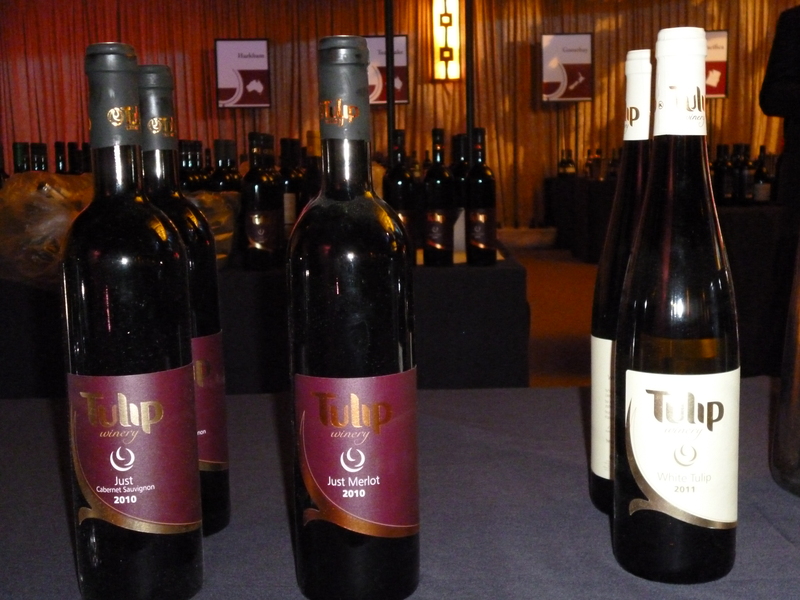 This is the flagship wine for Barkan, the wine is composed of a selection from the the best individual barrels that were sourced from three vineyards in the Upper Galil and the Golan Heights. 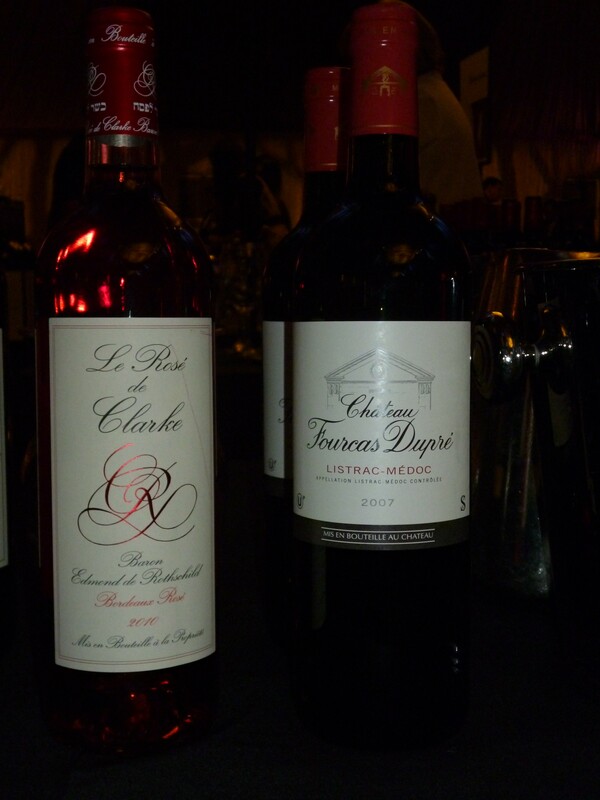 They then underwent an additional period of aging in new oak barrels to further enhance the wine’s structure. The nose on this dark garnet colored wine hits hard with crushed herb aromas, followed by date, tons of cedar, blackberry, black plum, and chocolate. The mouth is full bodied, layered and rich with soft and accessible mouth coating tannin that are still integrating and nice ripe fruit. The finish is long and balanced with nice mineral notes along with leather, and vanilla. I found the entire 2007 vintage of the altitude series was nice, with the 624+ label being the best one. The series is numbered based on the elevation of the vineyard in meters, in anticipation that the wines will show differently because of that. The nose is clean with good notes of raspberry, currant, black plum, and mineral. The mouth is big but with restrained oak influence, nieblack fruit, integrated mouth coating tannin, that helpsto bring the wine together. The finish is long and spicy with chocoolate and date. The nose hits you over the head with extremely ripe and expressive classic Cabernet fruit. Starting with blackberry, black plum, cassis, heavy notes of date, light graphite,and cedar. The mouth is massive and moiuth coating with clear influence from the wood and dark fruit coming together in alovely manner. The fruit is concentrated and focused while also being mouth filling and ripe. The finish is long with hints of tobacco and vanilla. This is a rich and expresive wine in both the nose and mouth and one worth finding. This wine was clearly different from its two siblings. It showed candied fruit, red raspberry, and other unique characteristics. The nose is subdued with raspberry, blackberry, and plum. The mouth is expressive with layers of candied cherry, raspberry, and cassis that are wrapped up nicely with nice integrating tannin and sweet cedar. The finish is long and spicy with chocolate and vanilla lingering nicely. 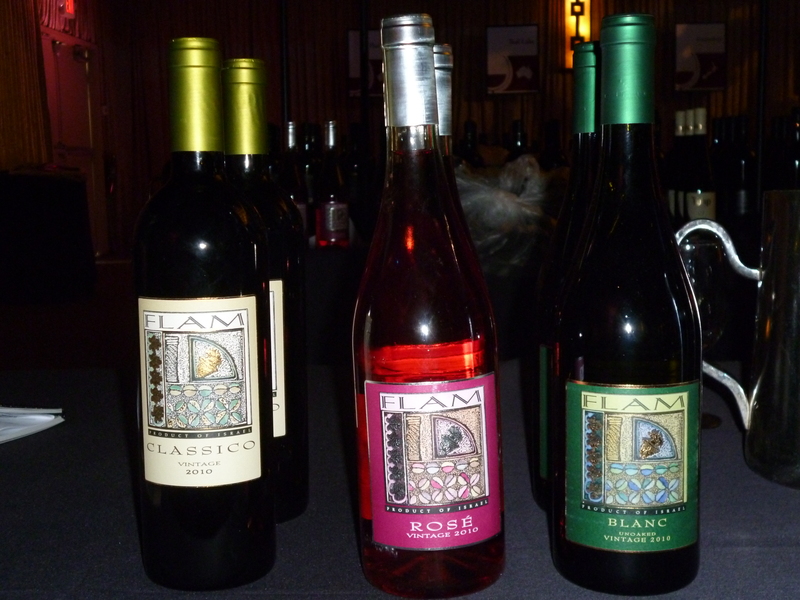 Rehasim is Segal’s label for single vineyard wines from the Merom Hagalil/ Upper Galilee region, with Dovev being the vineyard’s name. Argaman, which means ‘deep purple’ in Hebrew, was first developed by Professor Roy Spiegel of the Volcani Institute of Agriculture. It is a cross between Carignan and the Portuguese grape Souzao. The grape is still not good enough for single varietal wines, even after limiting the grapes’ vivacious yield. The nose starts with raspberry, crushed herb, blackberry,black cherry, and date. The mouth is full with heavy tannin, candied fruit, and nice cedar to round out the mouth. The finish is long with chocolate and red fruit lingering. 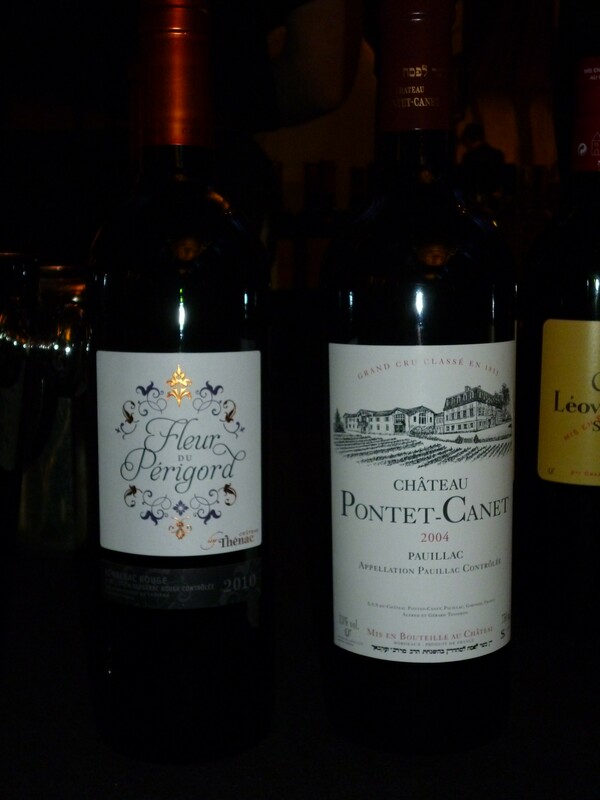 The wine is a classic Bordeaux blend of 65% Cab, 33% Merlot, and 2% Petite Verdot. The nose starts off with heavy date from overripe fruit, blackberry, cassis, and raspberry. The mouth is rich with concentrated and focused black fruit, black plum, heavy and mouth coating tannin, nice extraction, all coming togther into a lovely mouthfeel. The finish is long and spicy with chocolate, mounds of vanilla, and crushed herb. The nose explodes with heavy date, blackberry, black plum, ang nice graphite. The mouth is rich and layered with lovely cedar, spicy wood and clear oak influence that rounds out the mouth with lovely ripe black fruit, and mouth coating tannin. The finish is long and spicy with chocolate, vanilla, and tobacco lingering long on the palate. The unique blend of Cabernet Sauvignon, Shiraz, and Merlot is lovely, and is becoming a more common blend than one would think. 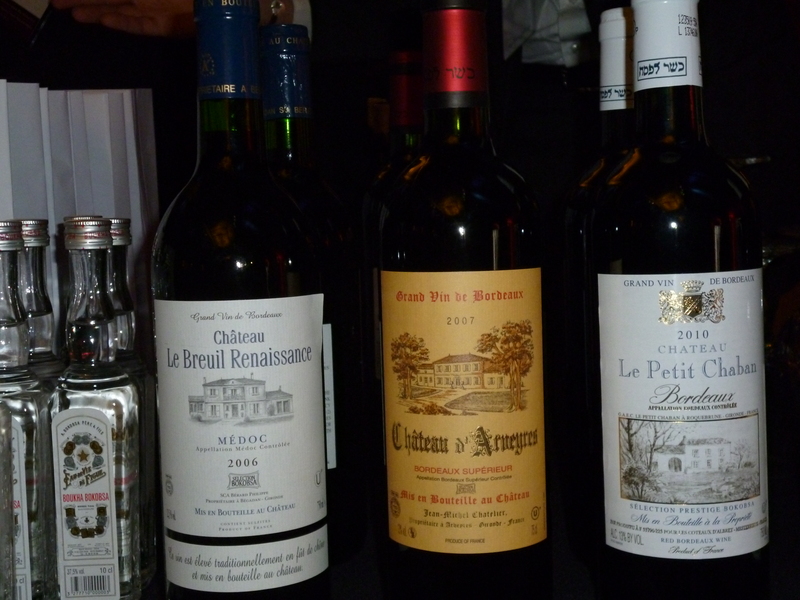 The blend is not a common Bordeaux blend, as Shiraz is not a Bordeaux grape,but the blend is becoming more and more common in Israel. The nose starts off with rich black pepper, raspberry, date, candied fruit, and crushed herb. The mouth carries the candied fruit with lovely mouth coating tannin, nice cedar, blackberry, and bramble that rounds the mouth. The finish is long and inky with chocolate, cassis, tobacco, and vanilla. This wine is a classic Bordeaux blend with 70% Cabernet Sauvignon, 25% Merlot,and 5% Petite Verdot. The nose on this purple colored wine is rich with toasty oak, blackberry, cassis, plum, earthiness, crushed herbs, and raspberry. The mouth on this full bodied wine is massive and richly extracted with massive mouth coating tannin, black fruit, blackcurrant, toasty oak, and nice earth notes, all coming together in a very harmonious manner. The finish is long and spicy with almost mouth drying tannin, chocolate, graphite, mint, and garrigue. 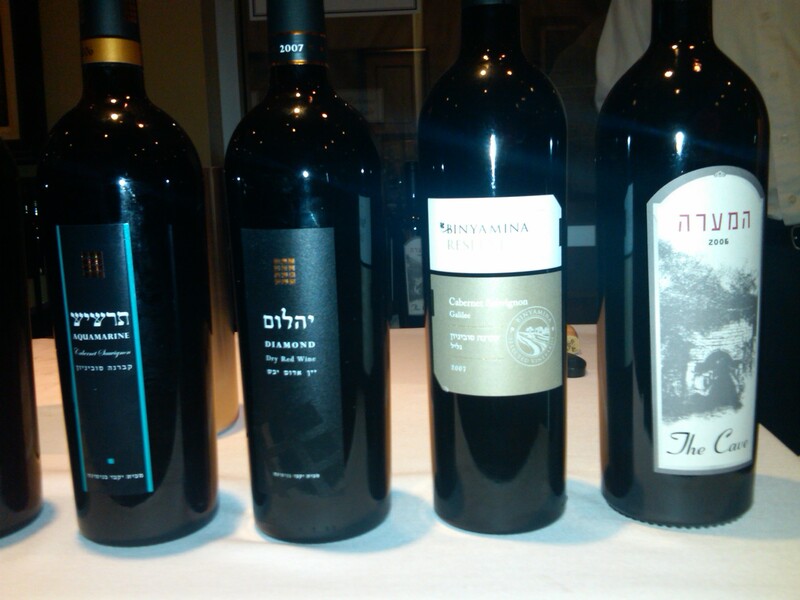 Posted on March 5, 2012, in Israel, Israeli Wine, Kosher Red Wine, Kosher Wine, Wine, Wine Tasting, Winery Visit and tagged Alexander Valley, Altitude 412, Altitude 624, altitude 720, aquamarine, argaman, Barkan Winery, Barons de Rothschild Edmond Benjamin, Binyamina Winery, Blanc, Bokobsa, Cabernet Sauvignon, Capcanes, carignan, Carmel Winery, Carte D'Or, cave, Cellar Select, Chalk Hill, Champagne, Chardonnay, Chateau D'Arveyres, Chateau Fourcas Dupre, choshen, Clone Six, Domaine du Castel, Domaine Netofa, dovev, Drappier, el26, Elviwines, Flam Winery, Fleur du Perigord, Flor de Flor de Primavera, Gewurztraminer, Goose Bay, grand vin, Herzog Cellars Winery, IFWF, International Food & Wine Festival, kayoumi, Laurent Perrier, Merlot, Merlot/Shiraz, Mount Veeder, Napa Valley, Oak Knoll, Petite Sirah, Psagot Edom, Psagot Winery, Reserve, Sancerre, sapphire, Segal Winery, Shiloh WInery, Single Vineyard, Special Edition, Superieur, Tulip Winery, UnOaked Chardonnay, Viognier, Weinstock, White Riesling, Yatir Forest, Yatir Winery. Bookmark the permalink. 11 Comments.